Dan’s Comment: I’ve looked up to Alex for a while in terms of his business, his content and his approach to customers. In this post I asked Michelle to go into detail on how he has built a 7 figure support app business so quickly. Dan Norris, Helloify Co-founder. Groove entered into a crowded space (customer support software-as-a-service) in 2011, doing a round of private beta before launching to the public in 2012. Alex Turnbull, the CEO, was running his own small business and was frustrated at the lack of help desk software options that actually suited his needs. Finding them all cluttered, overwhelming, and difficult to learn, he followed the path of many a business owner before him, and created the solution that he needed, but couldn’t find. 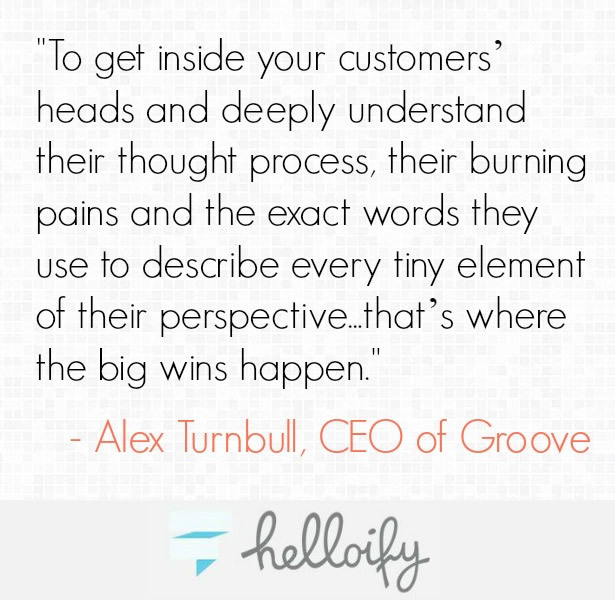 Alex credits customer development as the absolute, no-holds-barred, #1 thing that has helps Groove create lifelong customers. “By spending thousands of hours talking to our customers, we learn–to a super granular level–exactly what their challenges, needs, wants, and goals are,” he notes. None of these are terribly scalable or efficient, and some of them sound downright crazy (like having a 10 minute phone call with every one of your customers). But, however crazy or time-consuming, these things are what have made all the difference in growing the Groove customer base. It can be difficult to get people to fill out surveys, for one thing. Especially if your survey consists of open ended questions, which are the most useful for customer insight, but take much more time for the survey respondent (and are thus likely to get skipped). Not to mention, to get even semi-accurate results from your survey, you need to carefully craft each question, so that it’s clearly worded in an easy to understand and non-leading manner. It’s harder than it sounds. Even then, respondents can easily misunderstand a question–but they won’t be able to ask for clarification, and you won’t have any idea if they misunderstood the question when going over their response. This can easily create a skewed data set. 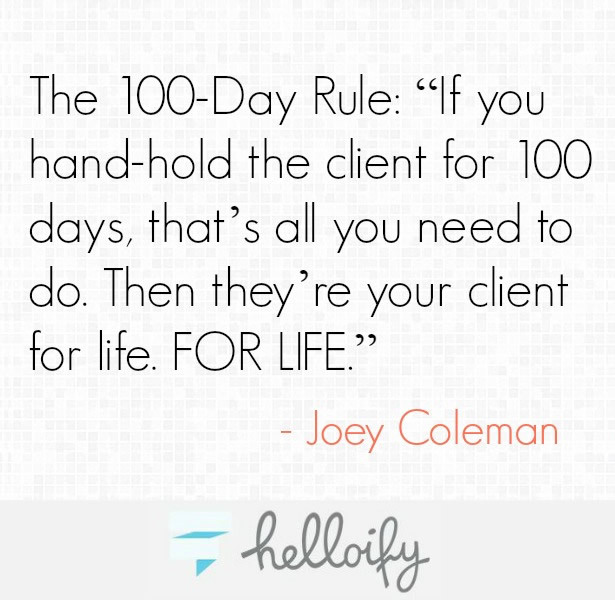 And once you start making business decisions off that skewed data, you can easily wind up with a feature set customers don’t actually want on your hands. Last but not least, surveys don’t necessarily capture the way people talk about their problems in real life–and learning exactly how your customer talks about their problems and your solution is what will let your business not just satisfy your customers and turn them into raving fans, but market more effectively to new customers. For example, the Groove team talked to both current and new customers during a website redesign process, and used the responses as the “foundation” of messaging for their new site. The result? They doubled their conversion rate. Their decision to talk to people on a one on one basis, even if via email, instead of a mass-survey, was intentional and they credit it as being a huge help in creating a better-converting website design. You may have noticed “onboarding” in the list of non-scalable growth tactics above, but it’s so important it deserves its own section. In fact, Alex credits successful onboarding–which has been improved along the way, due to their customer development processes–as a huge part of the reason Groove has high customer retention. During their testing of different processes and features, the Groove team has noticed a trend pretty similar to the quote from Joey Coleman (which is highlighted in the aforementioned blog post and came via James Altucher). The first two months make the biggest difference, and during that time, the team does everything they can to answer questions about every step of the process, up to and including having developers jump in on technical questions and Alex himself chiming in from time to time. When customers receive that level of attention during the first two months, they’re far more likely to become lifelong customers. Putting a customer support widget on all pages of the app, making it easy for users to submit a ticket from anywhere. This made a difference, but not a huge one. Sending time-based emails throughout the free trial, prompting users to engage with the team and ask any questions they had. The users who replied to these emails were 40% more likely to convert–not bad! Creating time estimates for how long tasks should take, and then creating behavior-based emails to go out to users who took longer than the average time to do those tasks. For example, if a new user was taking 5-10 minutes, over multiple sessions, to create a support widget instead of the estimated three minutes, the user would receive an email from the team asking if they needed help. This was the most successful tactic, with users that responded being 350% more likely to convert. The key to creating effective onboarding? Never stop trying new things: “We’re constantly taking inspiration from our customers and the other tools we use and love to make our own onboarding experience better,” says Alex. And of course, the user onboarding teardowns, in case you want to see what other companies are doing. Correspondingly, those metrics are where they put the majority of their focus and work the hardest to optimize. 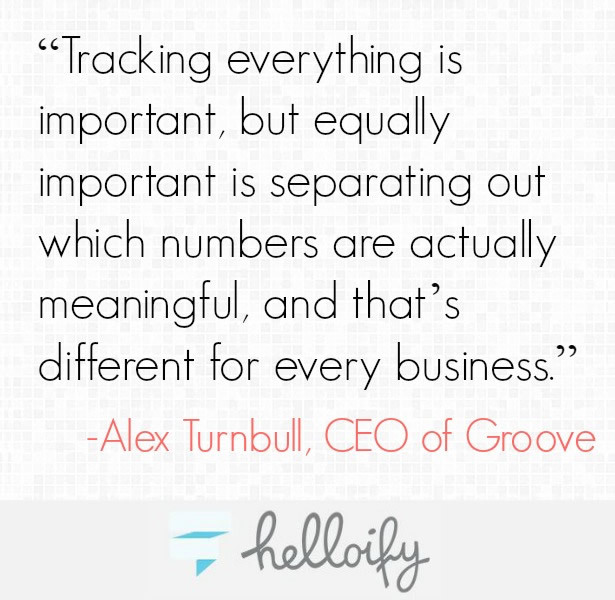 Knowing what metrics to look at are one reason that Alex made the decision to kill one of Groove’s features, live chat–usage was low, maintenance costs were high, and it wasn’t improving their core metrics. 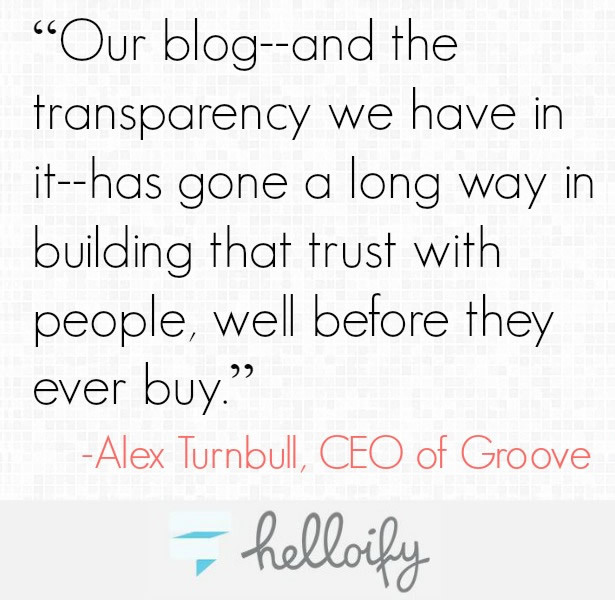 And running tests on everything is how Groove was able to grow referrals by 30% with one simple test. There aren’t any pat answers here, unfortunately–the only way you’ll find out what metrics are the most important in your business is by tracking everything (another Groove rule) and sorting through all the data on a regular basis to look for correlations, and then test for cause and effect. It takes time, it’s not easy, but it’s worth it if you want your business to grow and keep growing. One final note, although it’s not specifically customer-focused, is that Alex says content marketing has been “massively helpful” in creating growth for Groove. In a crowded space like customer support, the differences between products can be so nuanced that it’s hard for customers to decide–so they go with the choice that they’re most familiar with and trust the most. Content marketing can be a powerful tool, but it doesn’t create fanatical customers in and of itself; it just makes them more likely to buy when they get to that part of the buying cycle. Without working on the other areas listed here–a focus on customer development, onboarding, and measuring what matters–focusing on content marketing would be putting the cart before the horse. Don’t make that mistake in your business. Any questions for Alex or us? Who else would you like to see profiled in this series? Michelle Nickolaisen is a freelance writer / biz owner that lives in Austin, TX. When she's not writing (typically about business or productivity related topics), she's probably watching something involving sci-fi or superheros. When she is writing, Spotify is her best friend. She's been freelancing since 2008 and blogging since the wee age of 13 when a teacher encouraged her to start a daily writing practice.